A collection of fences from around the world. The biggest problem with Ireland was trying to pick just ONE fence. There’s a ton of stones in that country and they build endless fences with them. A moss-covered stone fence on the Precipice Walk in Dongellau, Wales. 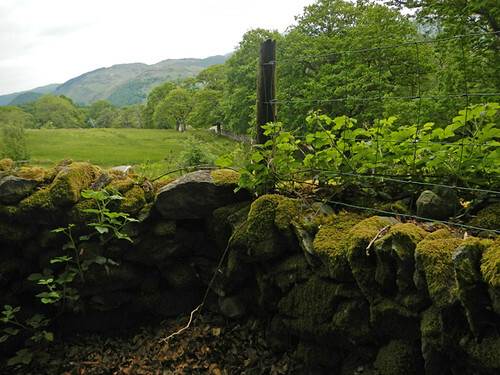 A stone and barbed wire fence in England’s Lake District. 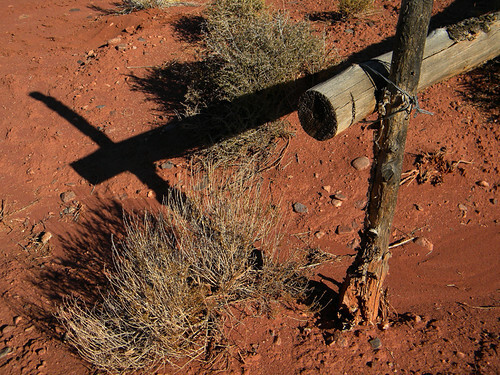 In Argentina the only place we really noticed fences were the low adobe walls around cemeteries in the High Andes. In the Belgian dunes a wind fence keeps the sand from going astray. 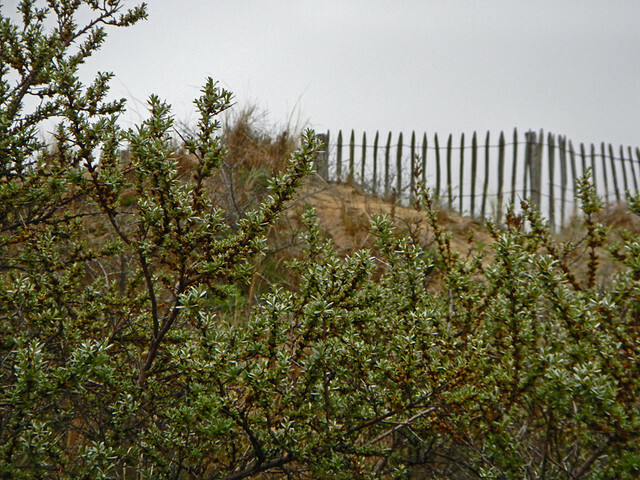 The prickly vegetation acts as a fence as well. Red earth and make-shift fence in the desert country just off of scenic Hwy 128 in Utah, USA. 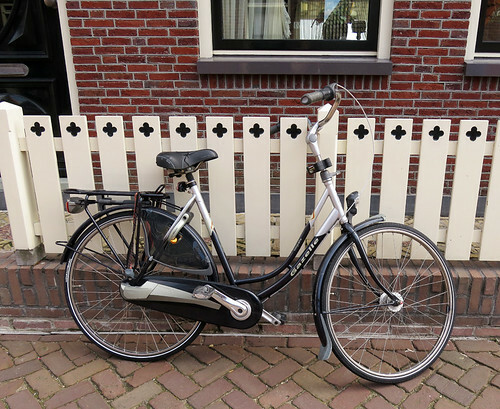 A bike up against a decorative picket fence in Volendam, Holland. Fence with skull decorations in the hills above Merritt, Canada. 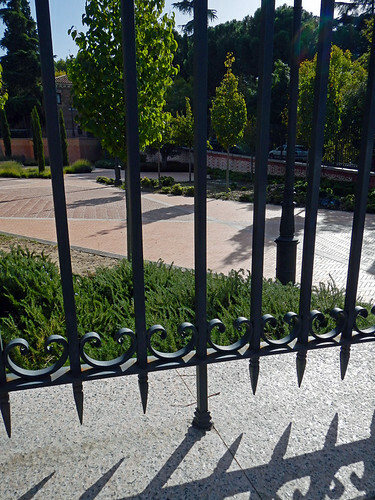 A wrought-iron fence around the the Islamic Square in Madrid, Spain. In some parts of Costa Rica the growth is so luxuriant that poles ‘planted’ into the ground start to sprout branches and leaves – after awhile only the barbed wire strung between them shows that it started life as a fence. 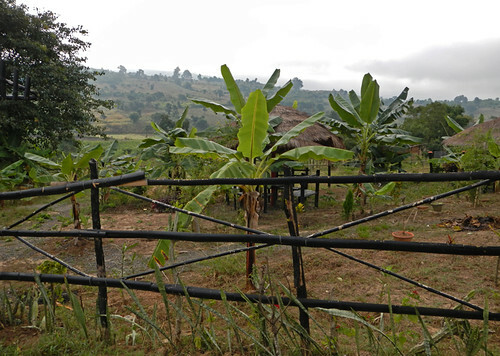 A black bamboo fence with a view of a small farm on our Inle Lake trek in Myanmar. This was one of the few fences I found in Asia; mostly their ‘boundaries’ were defined by high decorative walls, usually with an elaborate gate to allow entry. In doing this post I was struggling between what is a fence and what is a wall? I came to the conclusion that if it was built of wood or other ‘light’ material like wrought iron it almost always said ‘fence’ to me. If it was built of something more solid such as stone, brick or plaster then it was usually a wall unless it was very low in which case I considered it a fence! More of the Lens-Artists Photo Challenge: Fences. 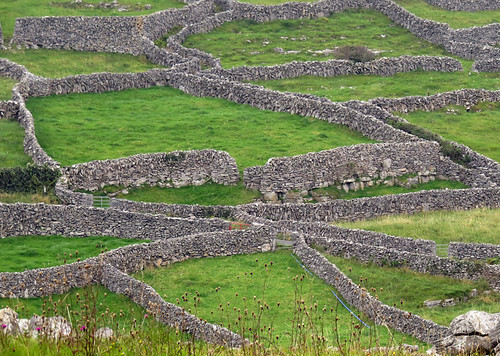 Great gallery of fences – and I adore Irish stone fences! And the Canadian skull fence is really a hit. The home-made fences out of whatever was available were my favourites – I took so many photos of Irish fences! I love the maze of fences in Ireland. 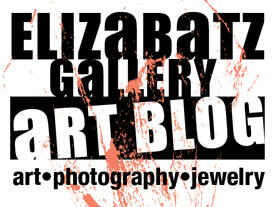 Interesting definition Elizabeth! Great variety this week. I too ended up thinking about fence vs wall! My definition came up when I was looking for fences among my Asia photos and kept going, “no, that’s a wall” over and over again. 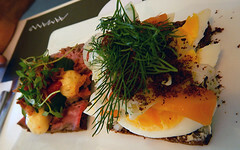 Very nice – I like them all, but especially the first one!